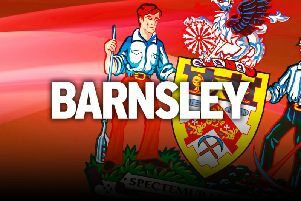 Barnsley defender Lewin Nyatanga is hoping the club can go from strength to strength next season, writes Neil Goulding. Ambitious centre-back Nyatnaga penned a new two-year deal with the Reds last week as boss Lee Johnson continues to build his squad for next season. The arrivals of centre-back Marc Roberts and forward Marley Watkins have strengthened the Reds, with goalkeeper Adam Davies having signed a new two year deal ahead of the new campaign. And more signings are expected with Johnson hungry to sign at least one more striker and another centre-back to give himself options ahead of a planned push for promotion. “I think it’s going to be a big season for the club, it’s going to be an exciting season,” said Nyatanga. “We’ve got a great manager who has fresh ideas and wants to take the club forward. “In the end it was a simple decision to sign. I’m really pleased to have got everything sorted. Nyatanga had his best season for the Reds last term, but is hungry to build on that success going forward. “I was really pleased with the way I performed last season,” reflected Nyatanga. “For me it’s going to be a case of trying to do the same again, but essentially to play better as a team and push on. “Promotion is what we want to aim for, so we’re putting pressure on ourselves.